Camino fans and walking enthusiasts should pack their shoes and register for the fun packed Kerry Camino Festival 2018. 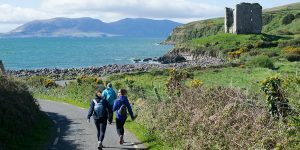 Join the CaminoWays.com team as we support the Kerry Camino team in Tralee hosting this wonderful three-day walking festival. This unique walking festival takes place over the May bank holiday weekend each year. Starting in the charming town of Tralee this route follows the footsteps of Saint Brendan, the Navigator. 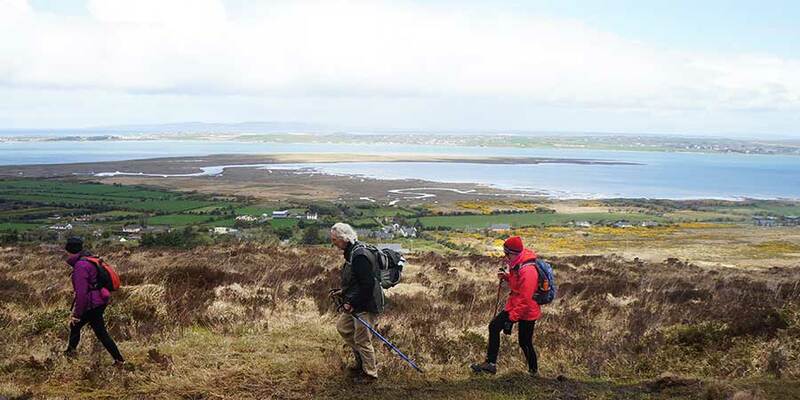 This trail has been walked by monks and pilgrims on their way to Dingle. 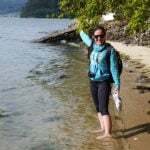 The Kerry Camino is run by an group of enthusiastic locals, keen to recover the history of the trail and celebrate the close links between the region and the Camino de Santiago in Spain. Walkers can collect stamps along the way on the Kerry Camino log book and record their progress. Once you finish the walk you will receive your certificate of completion at St. James’s Church in Dingle. 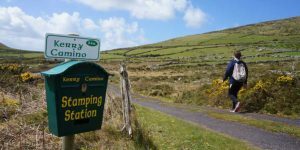 In 2018 the Kerry Camino Festival takes place from Thursday 3rd May to Sunday 6th May and everybody is welcome! If you haven’t visited this part of Ireland before, this is your chance! Registration, meet and greet at the Grand Hotel Tralee from 6 – 9pm, including a Camino information evening with CaminoWays.com experts from 7pm. Walk from St Johns Church Tralee, via Blennerville, finishing at The Railway Tavern in Camp for light refreshments. Walk from Camp. via Inch Beach, and finish in Annascaul. Barbecue at Hanafin’s pub (optional). Walk from Annascaul to Dingle at St James Church and receive your certificate of completion. 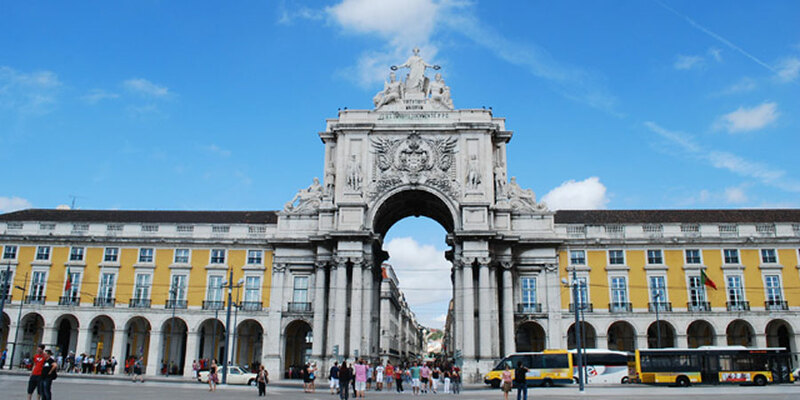 For more information about the Kerry Camino Festival 2018, the Kerry Camino trail, or any of the Camino de Santiago routes please contact one of our Travel Specialists. What are the distances walked each day? Hi Caitriona, thank you for pointing that out. We’ll check with the organisers and update as soon as possible. Kind regards.